← Happy Hanukkah With Paskesz Kosher Candy and More! Today marks the fourth anniversary since the February 6th, 2012 launch of CollectingCandy.com and as such I wanted to select four amazing (and previously unseen) pieces from my archives to share in order to mark the occasion. Make the jump to check them out! It’s hard to believe it’s been four years since I launched this website. Much has happened in that short span of time; there have been ups and there have been downs. Sometimes I have not been able to post as consistently as I might like. 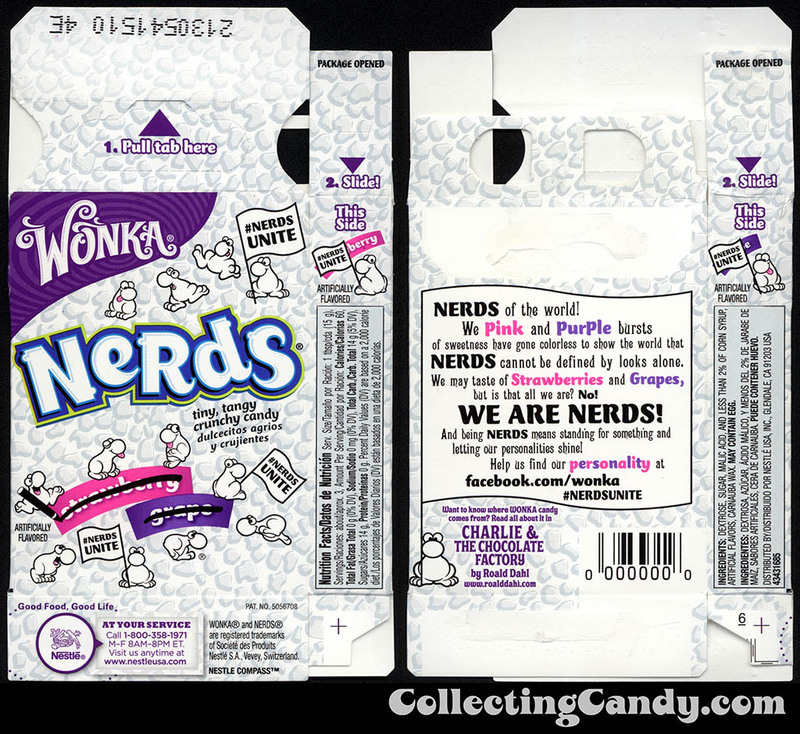 Yet in spite of that fact, I’m proud to say that the four year journey of CollectingCandy.com has thus far resulted in nearly 600 posts, many of which brought together historical information and images that couldn’t be previously found anywhere else online. And that has always been so much of what my goal was and is for this site; to create a place where this history is preserved, understood, and enjoyed by anyone who might be curious to visit it. My passion for this material has only grown over the last four years and while I don’t always show up here with a new post, I am working behind the scenes on this every day. 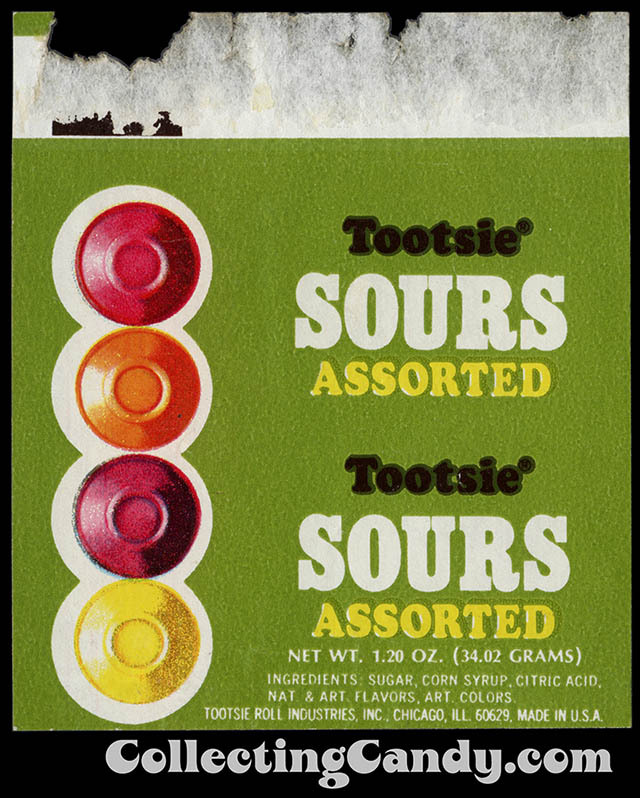 Among other things, I’m constantly seeking out unique and unusual material to help build the historical narrative of candy history that I’ve set out to document here. Finding and sharing things that have never been seen before (online, at least) is one of my favorite parts about producing this blog. 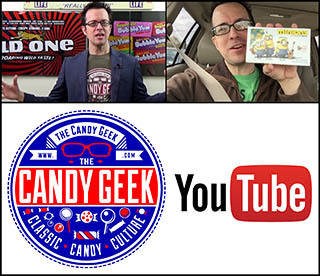 It’s tremendous fun and today I’m excited to share four unique pieces you won’t find anywhere else; one for each year that CollectingCandy.com has been online. So let’s get to it. I wish I knew who was working on the design team at Nabisco during this era, because they deserve to be recognized. 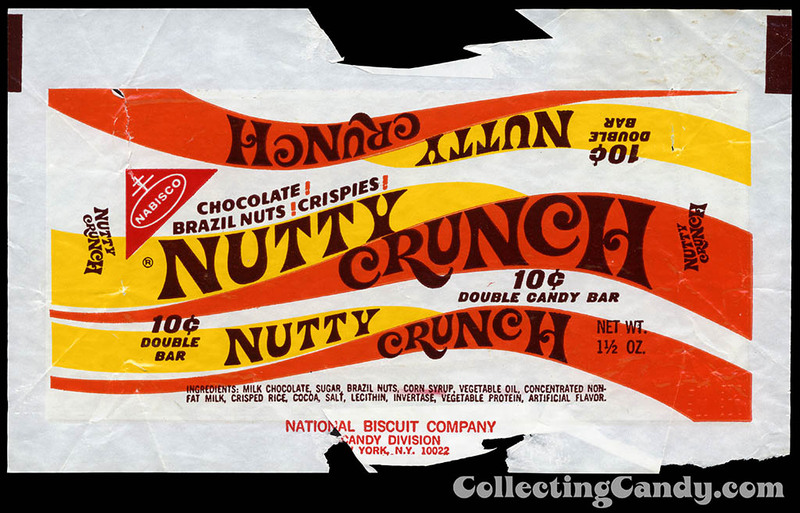 The design work is easily some of the best I’ve ever seen and this Nutty Crunch wrapper has immediately become a favorite. During this same period, Nabisco also released one of my previous all-time favorite wrappers for a bar called The Wild One – which I first covered in January of last year. It seems pretty clear that the Nabisco Candy Division was on fire in 1969! Next up is a piece from the recent past – in fact it stands out within today’s post as it is one that arrived on shelves during the four years that this site has been active. And yet, in spite of that recent vintage, you won’t find images of this next piece anywhere else online. The third piece I’d like to share today is something that absolutely blew my mind when I first saw it. In fact it still does. 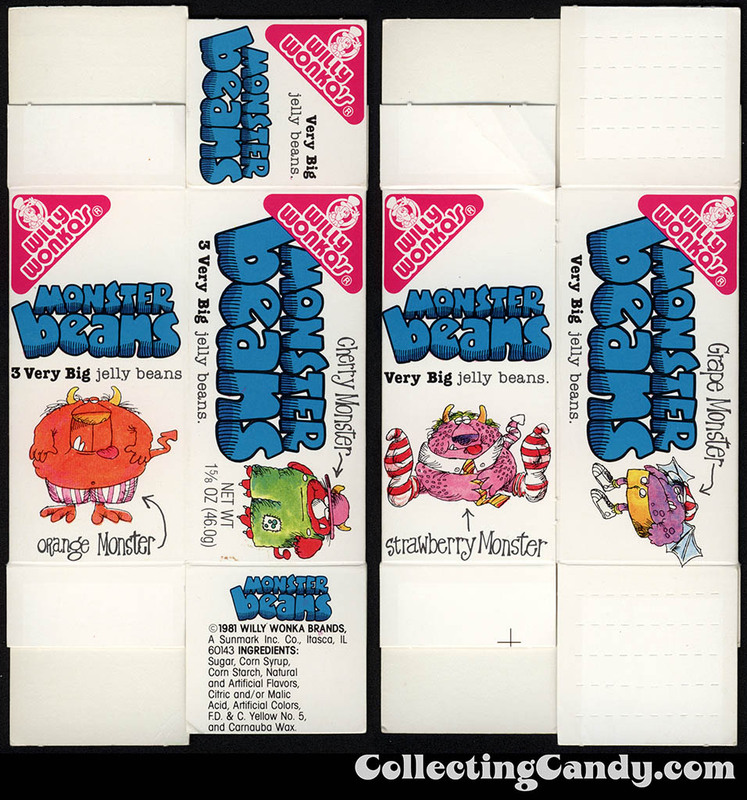 Sunmark – Willy Wonka Brands – Monster Beans – 1 5/8 oz candy box – 1981 – test market/prototype? I absolutely love this Willy Wonka Monster Beans box. Based on the style, I believe the cool monster artwork was illustrated by one of my all-time faves, Jared Lee. 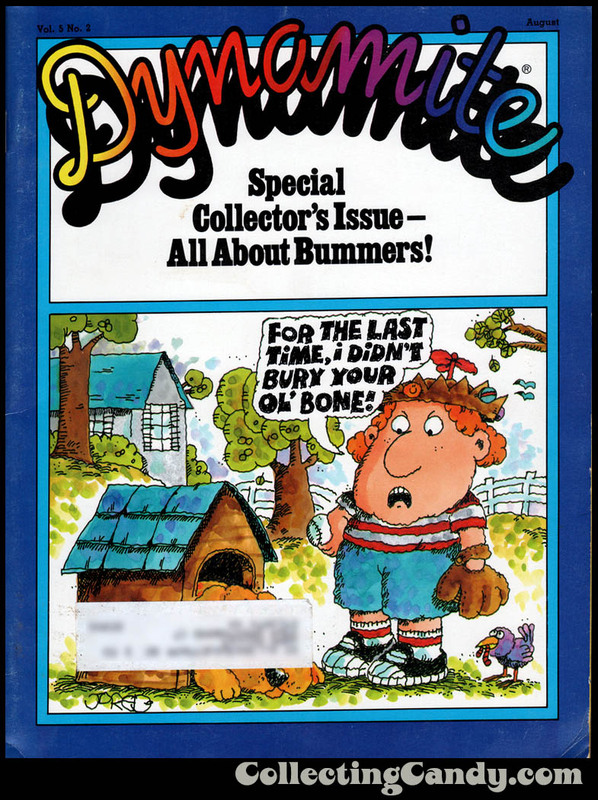 Mr. Lee is the artist responsible for the classic “Bummers” feature from Scholastic’s 1970’s and 1980’s Dynamite Magazine. Not a complete stranger to the confectionery world, Jared Lee also illustrated some of the promotional materials for Warner-Lamber’s Crack-Ups gum not to mention my all-time favorite Happy Meal box. I cannot say for certain if Willy Wonka’s Monster Beans was actually ever available at retail. You see, this box came to me from the personal files of a former graphic designer for the company, and as such it may have only ever been used for presentation or possibly a limited test market (this example also doesn’t include a bar code, adding to the likelihood of a non-retail existence). And that may explain why the only place you may ever see Willy Wonka’s Monster Beans mentioned is right here on this site. I don’t know for sure, but for now I’m thrilled to finally share it here. 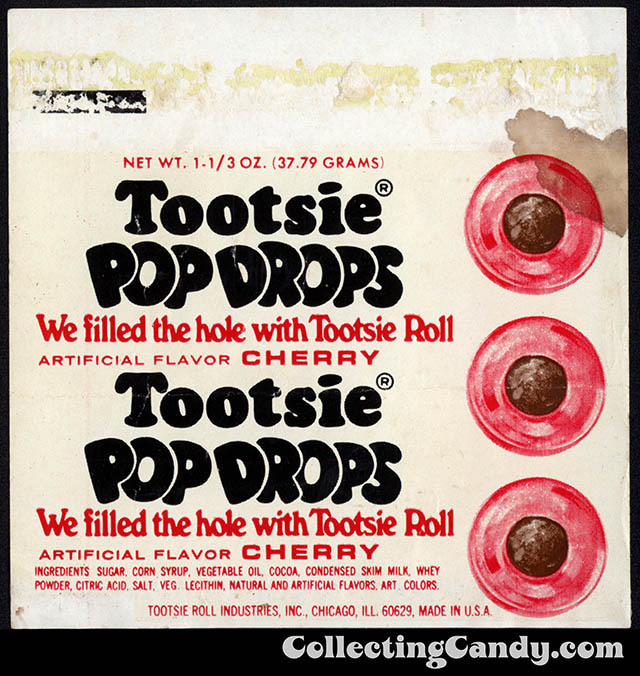 Although I’d never heard of Tootsie Sours before, the one thing that struck me was how the illustration on the wrapper of the candy pieces looked remarkably similar to another Tootsie classic, Tootsie Pop Drops. 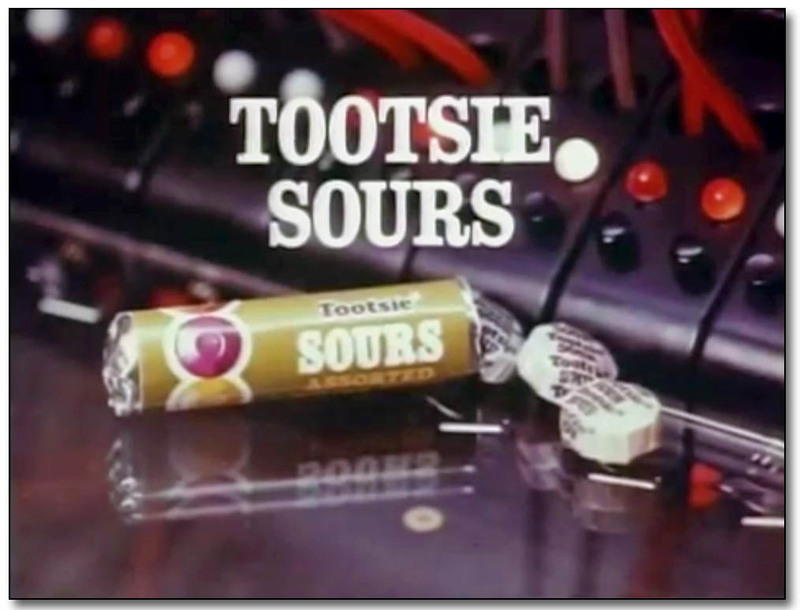 Fun stuff, and now those TV spots represent wonderful additional pieces to the confectionery historical puzzle. 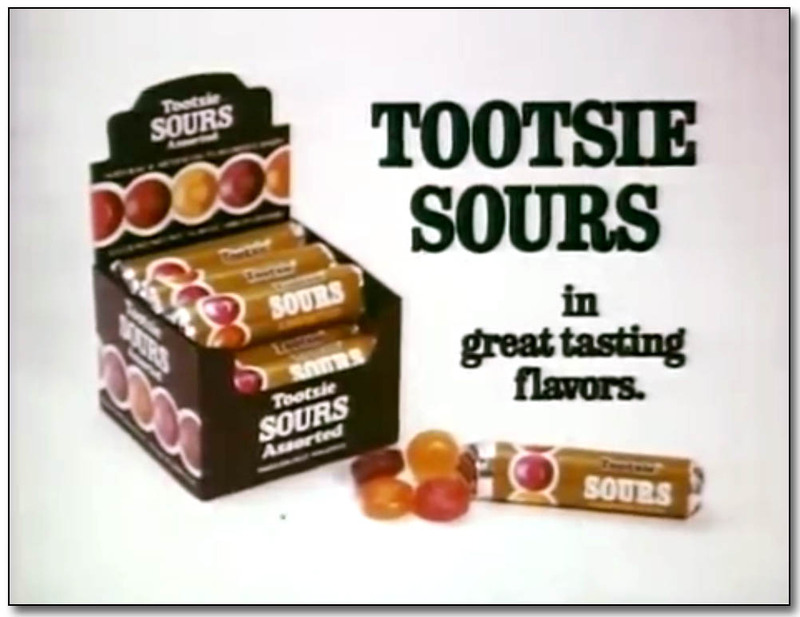 It’s great to see them and I’m glad that Tootsie Roll Industries shared them with the public. With that fourth previously-never-seen piece shared, my 4th Anniversary show-and-tell post is concluded. I hope you enjoyed it and I hope you have enjoyed the past four years of my endeavoring to bring clarity and fun to the scattered and hazy history of candy, here on CollectingCandy.com. It has been a great thrill to be able to do so, and I plan to continue for many many years to come. This is just the beginning, so thanks for stopping by and I’ll see you next time! 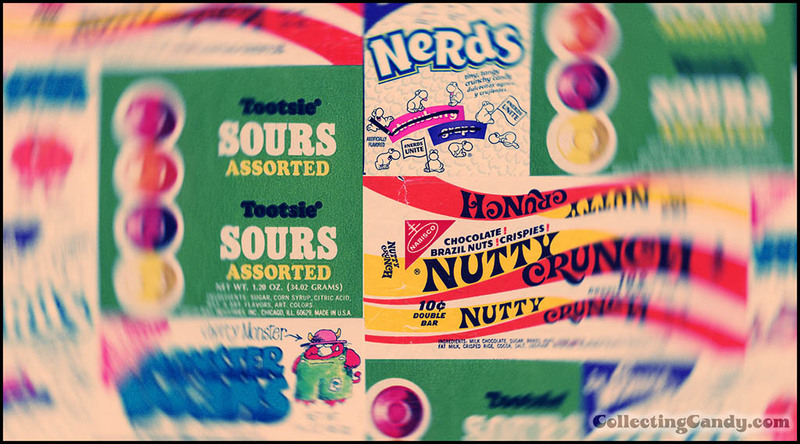 This entry was posted in 1960's, 1970's, 1980's, Boxed, Chocolate, Nestle, Sour Candy, Uncategorized, Wonka and tagged candy collecting, candy collection, candy collector, candy wrapper collection, candy wrapper collector, collectible, collecting candy, confectionery, confections, packaging, packaging design, sweets, vintage candy wrappers, wrapper. Bookmark the permalink.